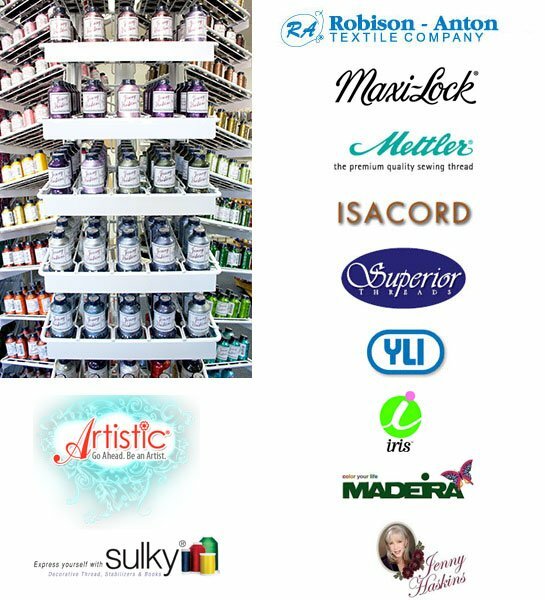 At the Sewing Center of Santa Fe we offer our customers the largest selection of quality thread in Northern New Mexico. 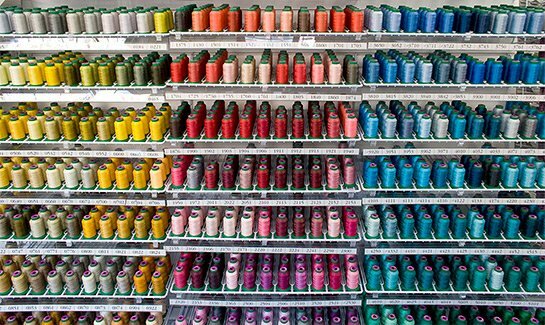 We carry top-quality sewing/construction thread, including extra long staple Egyptian Cotton, polyester, and silk, as well as a vast selection of decorative threads including cotton, polyester, silk, rayon, and metallic embellishment threads from our featured companies. We can also special order thread in quantity.